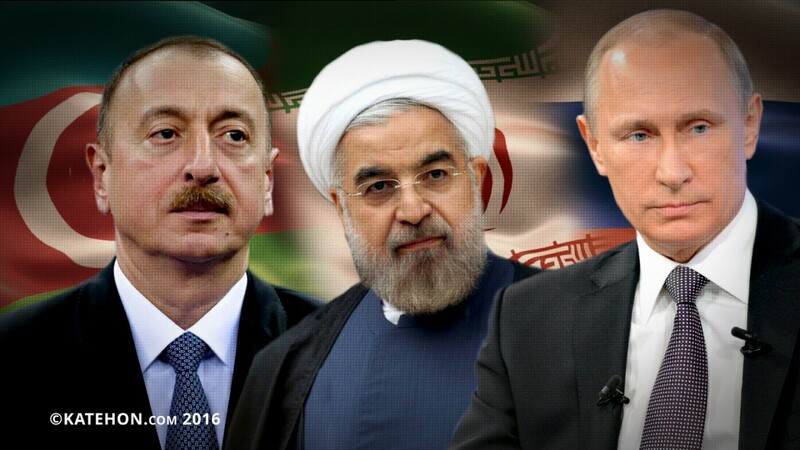 Today, Baku is hosting a trilateral meeting between the presidents of Russia, Iran, and Azerbaijan. The agenda includes Caspian Sea regional cooperation, joint economic projects, the conflicts in Syria and Afghanistan, and settling the Nagorno-Karabakh conflict. During the summit, both trilateral and bilateral talks will be held. One of the major economic projects to be discussed at the meeting is the creation of the “North-South” transport corridor. According to the President of Russia who gave an interview to Azerbaijani press on the eve of the summit, this project will create the best opportunity “to move transit goods from India, Iran, and the Gulf States to Russia and later to Northern and Western Europe.” The parties will discuss joint projects in the energy sector as well as the question of dividing the oil and gas fields of the Caspian Sea. Russia and Azerbaijan on the one hand and Iran on the other insist on different principles for division. The sides will also discuss issues of cooperation in trade and tourism. The essence of this meeting is the further construction of the Moscow-Baku-Tehran trifecta in the sphere of Eurasian economic integration which supplements the EAEC project and will in the future entail the formal induction of Iran and Azerbaijan into Eurasian structures. It is also possible that the Eurasian integration of Turkey will be discussed. No less important is the political dimension of the summit. Russia and Iran have demonstrated a common position on major international issues, including Syria. Turkey's rapprochement with Russia offers a unique opportunity to create a powerful Eurasian political union. Azerbaijan cannot remain aloof from this forming unit which includes its main international partners and historically close countries. The rapprochement between Ankara and Moscow strengthens Baku’s position as an important interface between Moscow, Ankara and Tehran, as it is closely tied to all three countries (the historical experience of being a part of Russia, Shi'ism as its dominant religion, and a Turkic language). Of particular importance is Iran’s participation in the resolution of the Karabakh conflict. On the one hand, Iran is close to Azerbaijan due to the Shi’ite religion of the majority of Azerbaijanis, while on the other hand it has always maintained good relations with Armenia. Thus, Russia, and Iran will try not to upset the balance of interests of Armenia and Azerbaijan in order to preserve peace in the region.